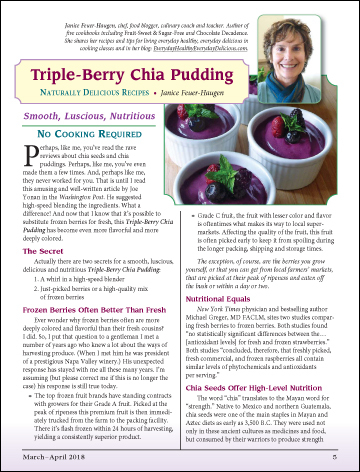 Perhaps, like me, you’ve read the rave reviews about chia seeds and chia puddings. Perhaps, like me, you’ve even made them a few times. And, perhaps like me, they never worked for you. That is until I read this amusing and well-written article by Joe Yonan in the Washington Post. He suggested high-speed blending the ingredients. What a difference!